…for when those ribeyes you grilled just aren’t fatty enough. The inspiration from this came from FoodTV’s 5 Ingredient Fix, during an episode of which the host made a side dish called “Green Goddess Rice.” Josh and I decided to grill steaks tonight and were thinking of a side dish. He ingeniously suggested using up some of the couple pounds worth of redskin potatoes we got from our farm share this week. I thought, hmmm. Rice, potatoes…both starches, right? Sure. Let’s just make a potato salad with green goddess dressing instead. I steamed a bit over a pound of redskin new potatoes. I figured the steaming would be good, as it would retain the most nutrients from the potato skin, which I would then liberally coat with a layer of fat. Mostly healthy fat, though…right? Right…? Yeah. Anyway. Recipe below! Steam potatoes until soft, about 12-15 minutes. 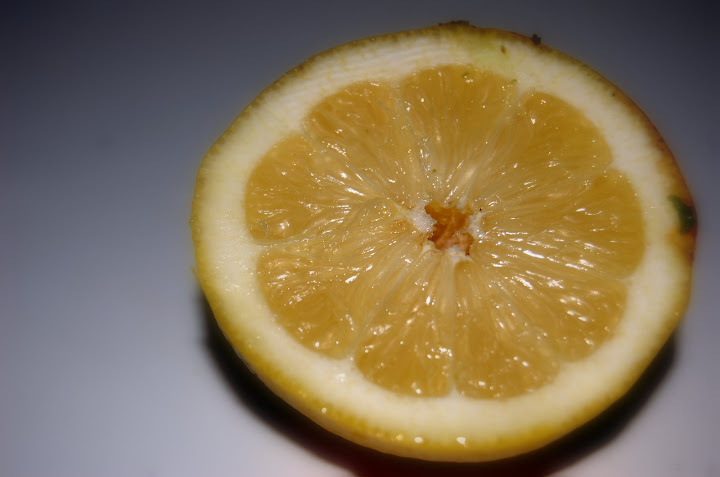 Slice in half and pour into a bowl. 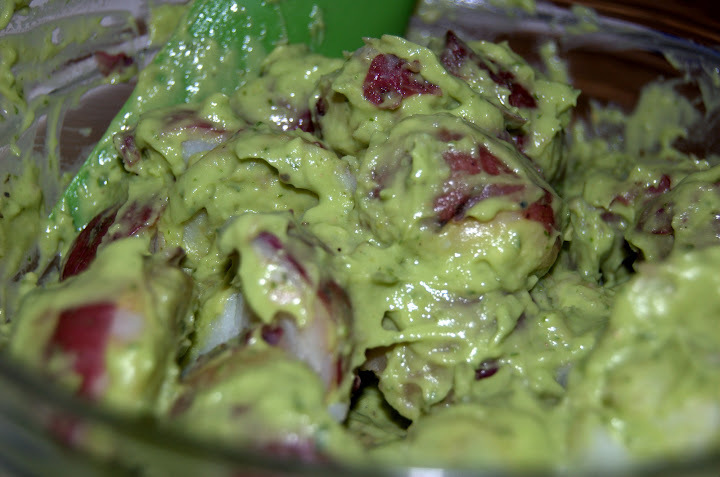 In a blender, mix avocado, basil, lemon juice, oil and water until pureed; season generously with salt and pepper. Add more water as needed to reach desired consistency, which should be about the same as sour cream. 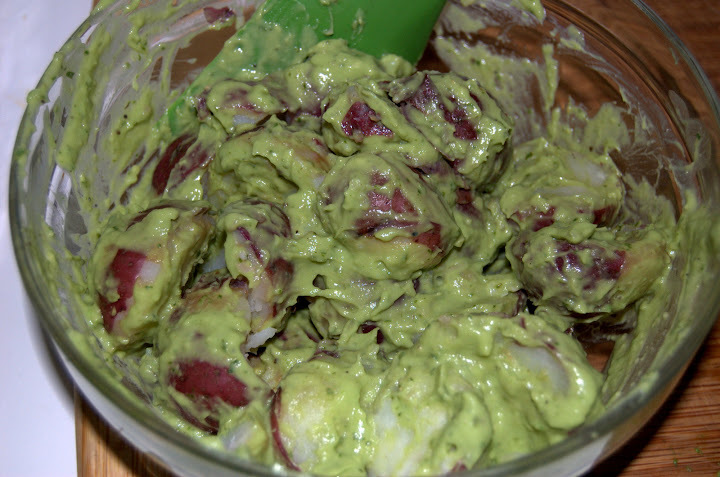 Fold avocado mix into the potatoes and mix thoroughly. Taste and add more salt or pepper as needed. Note: we did actually eat this alongside ribeye steaks. I like to think that the healthy fats from the avocado and olive oil and the bad fats from the steak are battling it out for supremacy inside my arteries. Makes it all the more fun. This entry was posted in General Musings and tagged sides, vegetables, vegetarian on August 9, 2009 by Lauren.